Aragami: Nightfall is the first story expansion to the celebrated stealth-action game by Lince Works. Aragami: Nightfall is a new campaign taking place before the events of Aragami, which will provide you with new challenges and more complex scenarios for experienced players, as well as proving a crucial chapter in the story of Aragami, in which you will play the events that led to the awakening of Aragami. In Aragami: Nightfall, shadow assassins Hyo and Shinobu go after the mysterious ‘Alchemist’ in one last mission to bring back a long lost companion. Play as Hyo and Shinobu and use new Shadow Powers in a story campaign that will put your stealth skills to test. 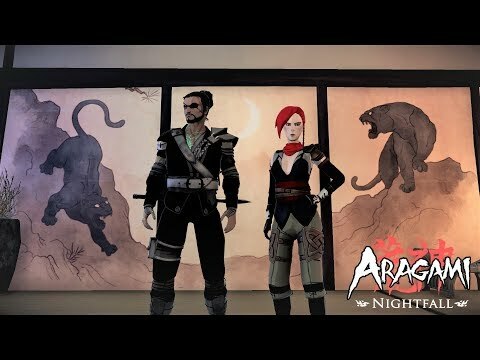 Aragami - Nightfall was released on PC and PS4 320d ago in the US and the UK. Notify me when Aragami - Nightfall is available.